Since the years of its foundation, the name Halo Effect has been synonymous with an impeccably planned synthpopish musicality, the result of a continuous evolution towards the search for the ‘perfect sound’. After the great response obtained by the album “Life Is Perfect”, by the corresponding trilogy of remakes “Life Is Remixed” and by the recent, experimental single-tribute “A Mode To Cure”, the project returns today on the alternative scene, determined to further increase its fame through a new album full of extraordinary, irresistible modulations that will hit the target once again. The sonic scheme of Halo Effect, as always cleverly designed, reveals a combination among the best instrumental strategies, catchy vocals and highly performing music technology, the same virtues that have consecrated this Italian band as one of the most valuable of its genre. And here is the synthetic-futuristic pop of “Shout” rich of EBM / darkwave elements, in which the listener will find solutions that will satisfy his every needs for d anceability and melodism, thanks to dynamic midtempo percussive automatisms, fascinating keyboards, rivulets of sequencing, captivating electronic karma and atmospheres that abduct the imagination. The real strong point of Halo Effect is to be able to combine functionally an ultra modern sound system with a touch of 80’s synthpop reminiscences, making the structures highly attractive, conceptually and musically intelligent, for a triumph of polarizing concordances that will echo in your memory for a long time. The new work includes eleven tracks produced by Rob Early, mastermind of the famous Washington DC-based electro ensemble Retrogramme. 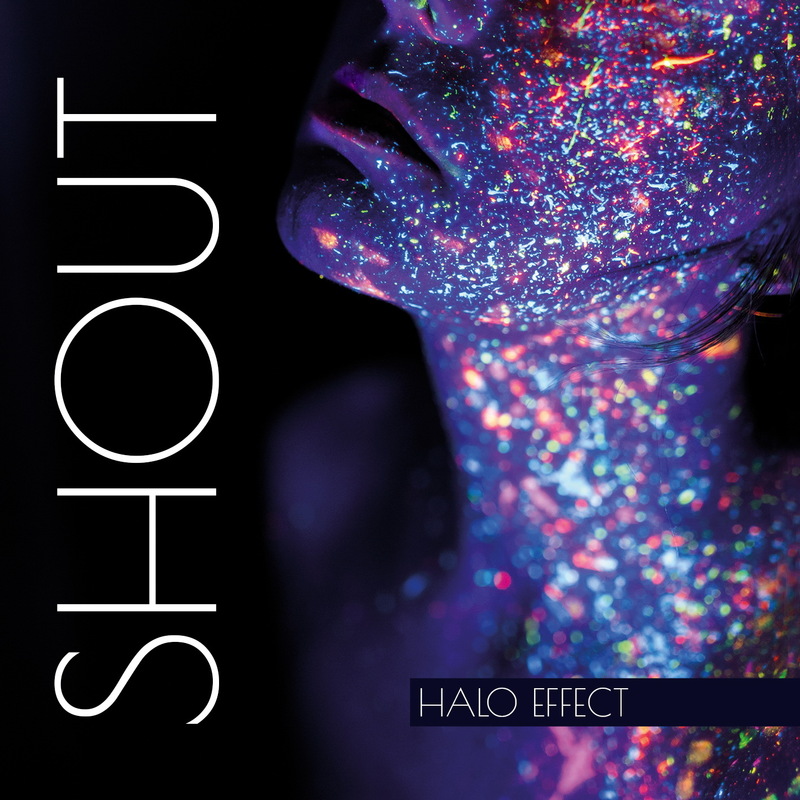 “Shout” represents surely one of the most symbolic albums of this act and one of the best world’s electro releases of the moment. Summarized in an adjective: unmissable!